One of my year-end pleasures is putting the mighty 320-page Motocourse tome to print. And one of the pleasures of editing it for the past 15 years or so is the chance to nominate the editor’s Top 10. This is both easy, and difficult. Easy because it is a whimsical and often obvious choice. Kind of goes in championship order. The criteria for being chosen are not that different from competing in the championship. You have to be really good at motorbike racing. Consistently. Then why Marc Marquez, when he crashed more times than any other MotoGP rider? Why indeed. Because he very seldom crashed when it mattered is why. 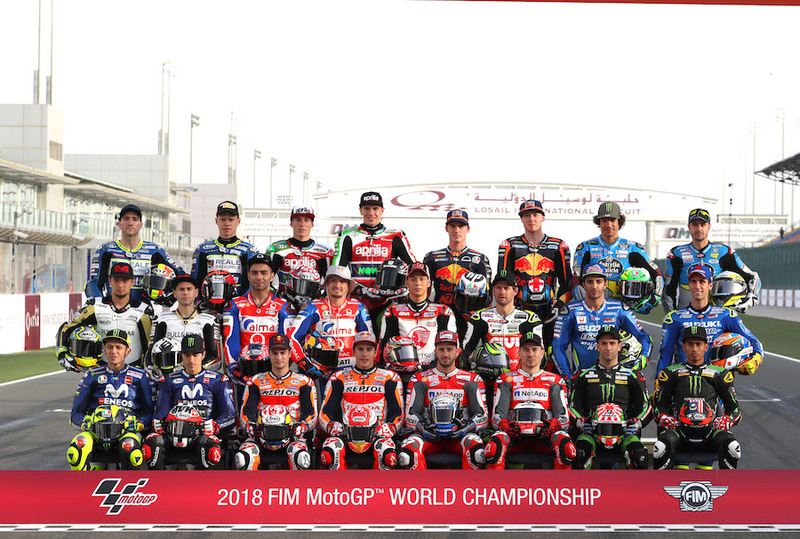 And is it really fair to have any Moto3 rider in, if it means putting them – even if only by implication – ahead of all but a handful of MotoGP riders? Well, in the end, fairness has nothing to do with it. It’s opinion. The riders have had their fun. Now it’s my turn. All the same, I wish there could be more surprises. This past season, for instance, rookies Franco Morbidelli and Hafizh Syahrin were sometimes exceptional. Especially Morbidelli. They both made the top 10 twice, but the Italian’s best was a fine eighth in Australia. And it hardly seems fair to have left Moto3’s Marco Bezzecchi out. He only missed his title chance being knocked down in two late races, through no fault of his own. Then again, champion Jorge Martin had exactly the same happen to him, and once his assailant was none other than the aforementioned Italian. So here’s my list, as it ended up, after a few chewed pencils and one too many late nights. I’d be interested to hear any of your lists, of course. Actually, I probably wouldn’t. It’s too late now anyway. 1 – Marc Marquez. Because of his saves as much as his wins. He is in a class all of his own. Obviously. 2 – Andrea Dovizioso. If not actually the architect of Ducati’s revival, he is that architect’s sounding board. Pity about two unforced crash errors early on. 3 – Jorge Lorenzo. Love him or hate him, his three-win Ducati turnaround was awe-inspiring. Can’t wait to see him on a Honda next year. 4 – Valentino Rossi. His worst season, two Ducati years apart, since he began in 1996. Rose above it by just keeping on keeping on. And he’s 39, you know. 5 – Cal Crutchlow. Can’t help liking Cal, but more importantly he was the only other rider to make the most of the difficult-to-ride Honda. Crashed once too often, sadly. 6 – Alex Rins. Finishing the year well always leaves a good impression, and the 22-year-old Suzuki rider did it with two second places. Has a big point to prove next year. 7 – Maverick Vinales. Did break Yamaha’s longest-ever win drought, but was inexplicably erratic. Truly great riders need to be good on bad days as well. 8 – Pecco Bagnaia. Immaculate Moto2 season with eight wins extended run of points to 30 races. Watch him go in MotoGP next year. 9 – Jorge Martin. When Moto3 is so ultra-close, a rider who can reliably find an extra seven or more tenths a lap is obviously very special. 10 – Miguel Oliveira. So good, but couldn’t beat Bagnaia. Actually, his teammate also won three races, so on second thoughts, number 10 is Brad Binder. Or maybe not. Either way, it’s tough to be 10th.